Thistle landslide, February 2005. View to the west from pullout on U.S. Route 6/89. 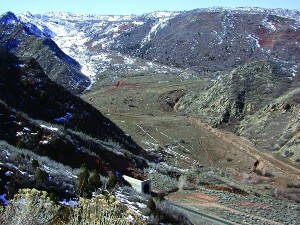 Note railroad tunnel at bottom center (constructed after the landslide buried the original railroad grade). 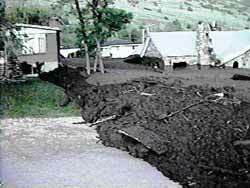 The Preliminary Landslide History Database of Utah, 1850-1978 provides mostly non-technical information on landslide events that occurred from 1850 to 1978. 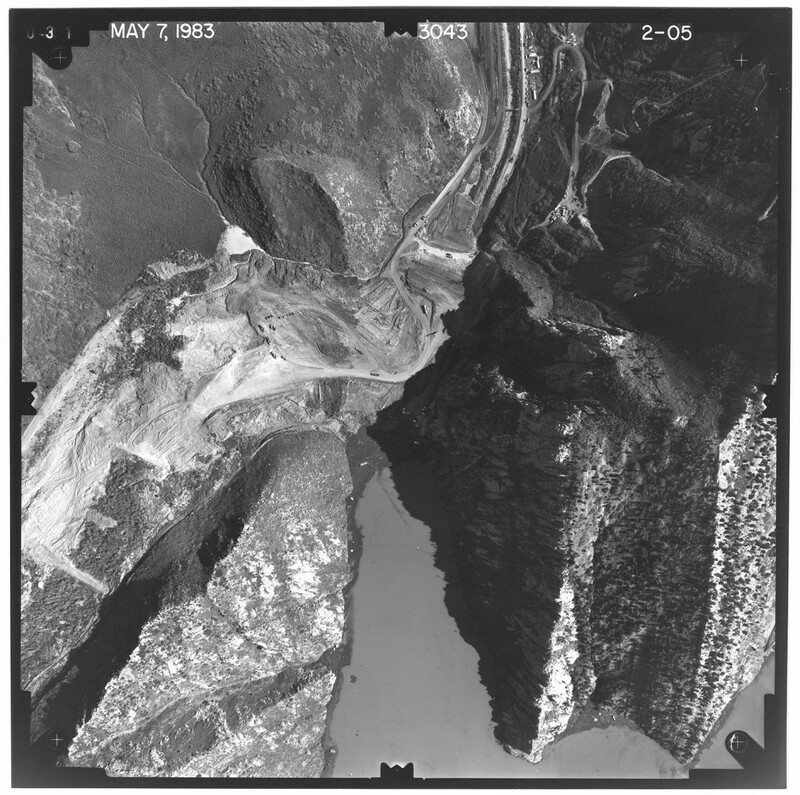 View the entire Preliminary Landslide History Database of Utah, 1850-1978 by Ashley Elliott and Michael Kirschbaum, Utah Geological Survey. Ashley and Michael compiled this history of Utah landslides using newspaper articles and reference materials. The most useful resource was Utah’s Online Library, which contains digitally archived newspapers available for search on the Web. 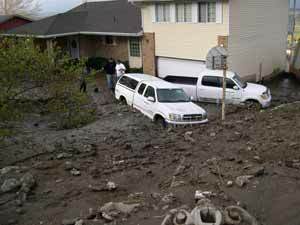 Although the database is compiled from multiple sources, it is not a complete record of all landslide events in Utah. The sources used to compile the database may not include all landslide reports for the years searched. The database includes limited technical information on the landslides.